Sometimes your home is literally telling you that there is something wrong… all you have to do is listen to it. 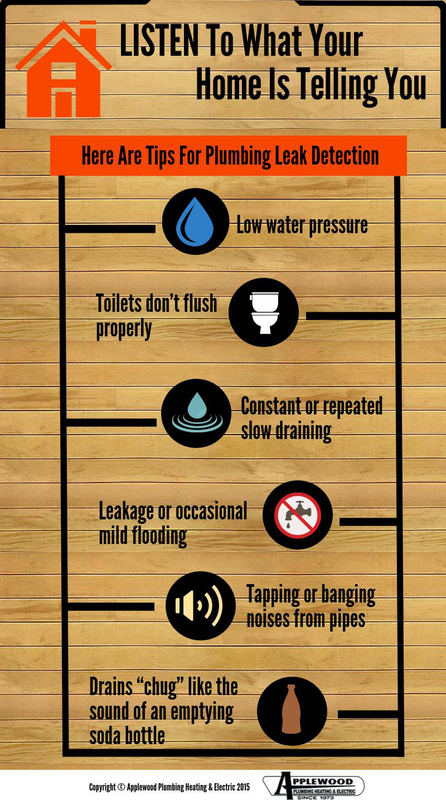 Here are tips for plumbing leak detection. Call a professional if you hear or see any ...	of the following since larger issues could be lurking.